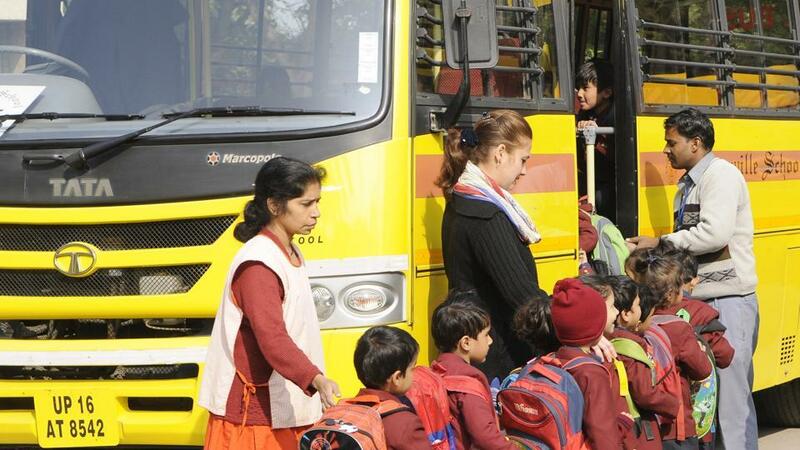 In order to strengthen the security system and ensure safety for children, Central Board Of Education (CBSE ) has made it compulsory for school buses since mid of 2017 to have the Global Positioning System (GPS) installed in them, which will track the location of the bus. Stating that the guidelines “should be scrupulously followed and complied with by all affiliated schools,” the Board stated that the management and the head of the school will be held responsible for any lapse which could lead to disaffiliation. The Board has made speed governors with 40 km per hour, GPS and CCTV mandatory for school buses. But, the GPS will have to be approved by Automotive Research Association of India (ARAI), as per the latest guideline issued by the CBSE. The year 2016 saw 34 school bus accidents registered with the traffic police, as a result of which, around 21 were injured and 1 was found dead. Therefore, all CBSE schools have been demanded to submit an annual safety transport system report approved by the traffic police. The exact location of the buses will be tracked through the GPS, which will, in turn put the bus journey under the school administration’s scrutiny. Previously, CBSE had made a mandatory speed governor (a device to measure or regulation the speed of a machine, such as engines) installation. But, only a few schools have initiated the installation process. In the interior of the bus, the Board has made it mandatory for windows to be fitted with horizontal grills and mesh wire, and doors of the bus to be fitted with reliable locks that can be locked. There should be speed governors with maximum speed limit of 40 km per hour. GPS and CCTV arrangements should be made compulsorily in each school bus and have to be installed by the owner of the bus. The guidelines also require school authorities to provide one mobile phone in each school bus and ensure that the buses are not permitted to overtake any four-wheeler while carrying the school children. Schools have to make arrangements for parking the buses “inside the school campus at the time of boarding and de-boarding.” In case parking inside school campus is not possible, the buses should be parked in such a way that they do not create any traffic hazard for other vehicles. If you have any questions/suggestions, feel free to get in touch with us at sales@neotrackweb.com.